Dissolve 1 tbsp of sugar and 1 tsp yeast in 1/2 cup of luke warm water for 10-15 minutes. Grind the cooked rice along with grated coconut adding enough water to a smooth paste. Combine rice flour, & coconut water in a deep bottom utensil, add grinded coconut mix and dissolved yeast to the batter. Keep aside the batter for fermentation overnight. Add 1 tsp salt and mix well. Heat a appa chatti on a medium flame, pour a large spoon full of the batter into the centre of the appachatti. Rotate the pan in a circular manner. Keep covered 3-4 minutes. Serve hot with chicken/mutton stew. Such a cute looking and soft appams..yummy.. 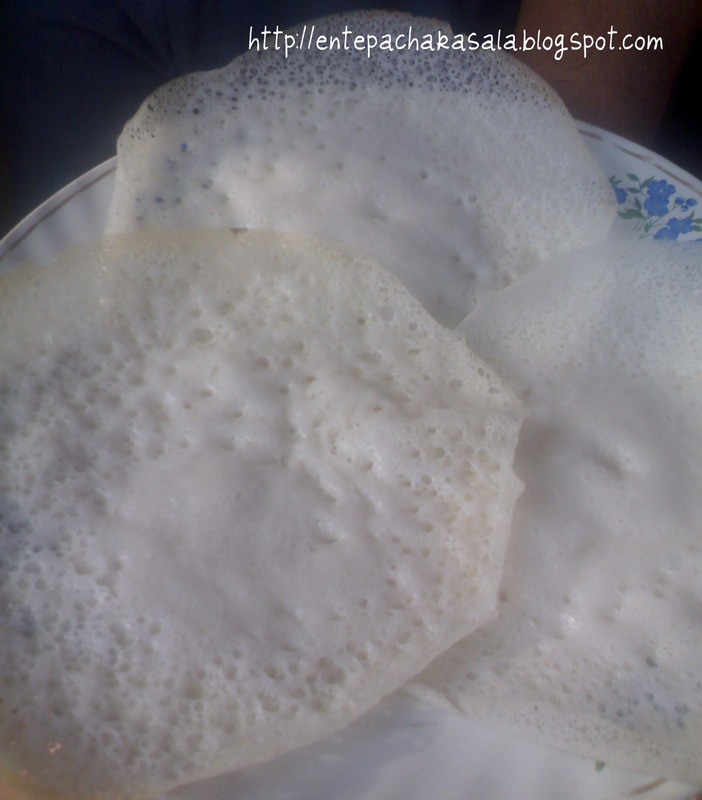 Happy onam dear...these appam luks gr8. Super ...looks so fab ..
aapams look so yummy...so soft! !